Overnight oats are simple to make, because there’s no cooking required! I soak the oats a few hours or overnight in milk (any kind will work) along with chia seeds, then top with my favorite toppings. Often I sweeten the oats with stevia, but today I opted for a little raw local honey. It’s the start of fig season! Last week I attended an event for California Figs and brought home some beauties so I’ve been eating them all week. They are great as is, on toast with almond butter, but I also love them over a bowl of oats. 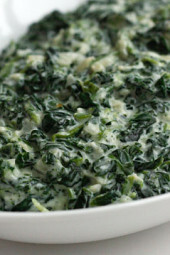 This breakfast is healthy and full of fiber which will keep you full for hours. You may also like Overnight Oats with Blueberries and Bananas. * check labels for gluten-free. Place the oats, milk and chia seeds in a jar or a container with a lid; stir, cover and let it sit 1 to 2 hours, or refrigerate overnight. 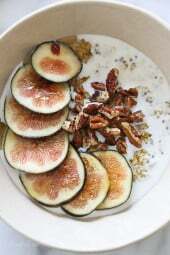 Place in a bowl, (I prefer it room temp or you can heat it up) top with figs, honey and chopped nuts. Can I use rolled oats instead of quick oats? I would love to see more overnight oat recipes. My husband and I love the recipe with blueberries and bananas. I do not like figs, but I will be trying this recipe with another fruit. Has anyone tried this with Steel Cut Oats? Can you use steel cut oats instead of quick oats? Thank you. I appreciate your response. Love your recipes and your meal plans. They are making a world of difference for me. If I use dried figs, would I soak them overnight in the oats and milk? You can try it either way. Dice them first though, and they will soften quiet a bit if you soak them over night. If you like more texture just add them in the morning. 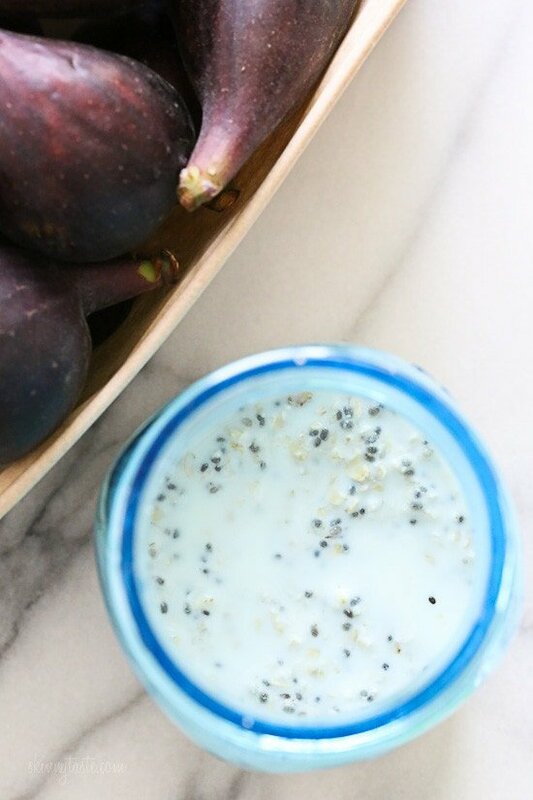 How many Freestyle Smart Points is this OVERNIGHT OATS WITH FIGS AND HONEY recipe? 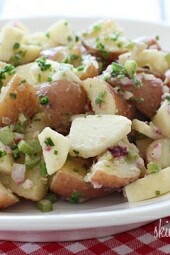 I noticed some recipes on this site are not updated to with Freestyle points. Thanks! Pingback: 25 Overnight Oats Recipes - Eat. Drink. Love. Hey Gina, where do you find fresh figs on LI? I’ve been looking the last 2 summers and can’t find them by me. Thanks! When they are in season I always see that at my Stop and Shop. Can we use dried figs for this recipe? I have some in my pantry and would love to be able to use them. I think my figs were the wrong side of ripe (a bit smooshy) but this came out well anyway! I subbed groats (hemp seeds) for pecans since I was out and also added a dash of cinnamon. I made a double batch and ooooh the flavor was light but lovely and I am SO FULL. I have been wanting to try overnight oats for months and was waiting for the right recipe. Thanks, Gina!! Obviously figs were in season when Gina initially posted this recipe. Your rather snarky comment wasn’t necessary. I like my overnight oats without added sugar, so I mash a ripe banana into the oat mixture before refrigerating. I also use old fashioned oats. It's a great breakfast that keeps you full until lunch. I'm going to have to try it with figs now! Thanks for the recipe! Looks delicious, will have to pick up the ingredients to make this for breakfast next week! I've always wondered about overnight oats as so many people seem to keep mentioning it. 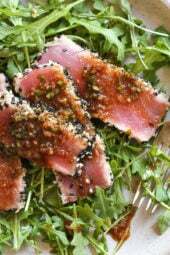 Will have to give this recipe a go I think, especially with figs as they are oh-so very awesome! I LOVE fresh figs and overnight oats! This looks amazing, Gina! This looks super good! I haven't tried figs yet. Lately we have been using your recipe for overnight oats with Blueberry, Banana and adding 1/2 Tablespoon of PB2 mixed in….SO GOOD! Can you tell us how to pick fresh figs? I only ever buy them dried. They last 2 to 3 days, you want them to be soft — to give a little with the slightest pressure, but not at all mushy or hard. I usually don't eat oatmeal, but I do like overnight oatmeal. I make mine using fat free yogurt and add a little bit of cinnamon to it. I usually throw chopped apples, craisins and pumpkin seeds on it. I'm going to have to try figs and honey; that sounds amazing! Couldn't find fresh figs ANYWHERE so I used dried… more calories, but still tasty! That works, or any fruit. Try peaches! Looks so good! Have great day! You always have the BEST recipes. I just discovered figs a couple years ago and LOVE them! Especially in yogurt! It is extremely hard to get fresh figs in Colorado. I love them! I bet a fig tree would grow well there! I'm seeing figs everywhere and man do they look delicious! I so need to get some fresh figs in my life. Especially to o with an oats and honey combo – that's the best! You eat the whole thing, no need to peel. It's a sweet mild flavor. I’ve never had a fig either:) You’re not alone. I’ll pick some up next time I’m in Whole Foods. This looks amazing and so easy to make! Can't wait to try it. Those figs look gorgeous, wow! I've heard lots of positive things about overnight oats but still need to try them- I might have to finally cave! I love fresh figs! We just got the first of the season yesterday, such a treat! Come take a peek at the most delicious French Apple Cake!